It's been two days since news first broke of Selena Gomez entering a treatment facility to help address ongoing issues related to anxiety and depression. "Selena has been trying really hard recently to remain focused, and not let her health affect her," a source told E! News earlier this week. "She has been actively writing new music, and moved to Orange County for a change of pace and a fresh breath of air. Ultimately, with all of her arising health issues, Selena started to feel super overwhelmed." TMZ reported Wednesday that the 26-year-old "Wolves" singer suffered an apparent "emotional breakdown" following two recent hospitalizations related to her Lupus and her kidney transplant in 2017. According to the outlet, Gomez received medical attention at Cedars-Sinai in Los Angeles after her white blood cell count became increasingly low. As for how Gomez is doing now, a source told E! News Thursday, "She is getting the help that she needs. She is already feeling better than she did last week." E! News has also learned how Gomez's ex Justin Bieber is reacting to her health news. "Justin and Selena are not in touch but him hearing the news about Selena definitely upsets him," a source tells E! News about the duo, who decided to take some space in March after rekindling their romance. "He feels sad and remorse for Selena and knows how it is to go through a difficult time. Justin also feels guilty. He wants to help everyone. He truly wants Selena to be happy, and it's upsetting to know she's battling health issues." Following his split with Gomez, Bieber went on to rekindle his romance with Hailey Bieber. In July, the 24-year-old "Baby" singer proposed to the 21-year-old model while on vacation in the Bahamas. Last month, news broke that the couple had officially tied the knot. "It has been overwhelming for him since they tied the knot and he's not good at handling his emotions," the insider says of Bieber. "He's been very emotional, but he always means well and is coming from a good place." 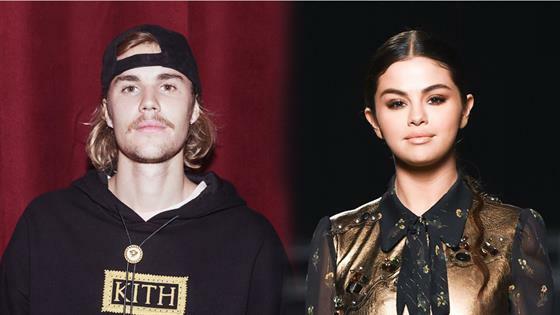 "Justin's focused on his wife and the life they are building together, but he's having a hard time not letting his emotions get to him," the source continues. "Hailey's been a great supporter for Justin and definitely has his back. Their personalities really work well together. Justin and Hailey both have taken a step back and aren't rushing the wedding process right now. They are happy at where things are right now in their relationship and are trying to live their lives as normal as possible." "Many people around him believe that Hailey coming back into Justin's life has made him a better person, but ultimately Justin still battles his own issues from time to time," the insider adds. "Hailey has made Justin more spiritual and they are happy to be on the same religious path together. Life as newlyweds have been going well, but they are also in the stage of figuring out real-life/marital situations together, which are hard adjustments."